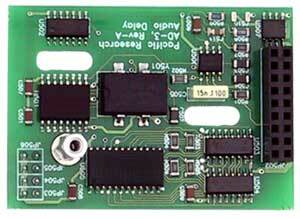 The Audio Delay is a plug in board that removes squelch and DTMF burst. This unit uses a 8 KHz sample rate to deliver high quality audio. The delay is selectable between 62.5, 125, 250 and 500 milliseconds.